Khalida holds a strong background in both NHS and Private Dentistry since 2009 and takes great pride in ensuring every patient entering our doors feels warmly welcomed. 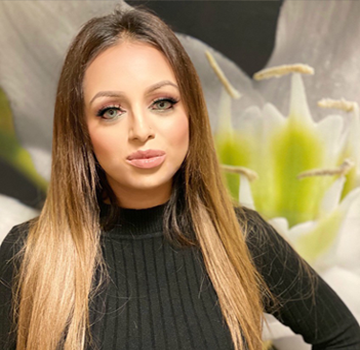 Khalida has recently joined The Dental Suite early 2015 and strives to deliver high standards of care with her professionalism and warm personality. Khalida's passion lies in patient satisfaction and always looking to venture into continually improving services provided to our patients with complete care and dedication. Khalida strongly believes in building strong relationships with individual patients. Khalida enjoys her travels abroad and loves visiting Spa's! Should you have any enquiries Khalida is always at hand to help and ensures to be there by your side at each step of your journey!